GENERAL NOTE: Euploea lewinii is a variable and complex species. Euploea lewinii perryi is recorded in Niue and the Cook Islands, while Euploea lewinii mathewi is common throughout Tonga. The white markings are in the same positions: on perryi they are very small, while on mathewi they are large. 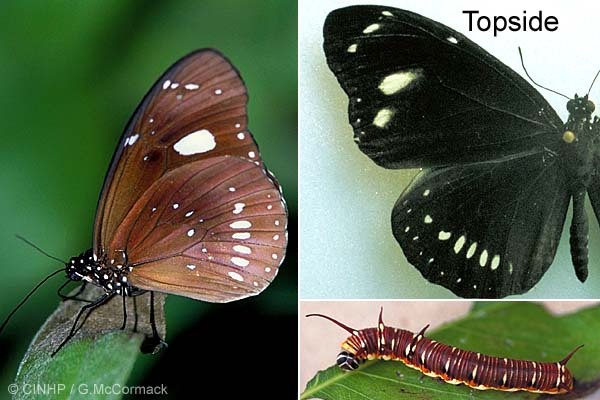 In Tonga there is also Euploea tulliolus forsteri which has white sub-marginal spots only.